Mutai has forged quite a name for himself as a distance athlete whose list of achievements includes recognition as the world’s sixth fastest marathoner of all time and back-to-back wins, each time with a course record, in Eindhoven Marathon. 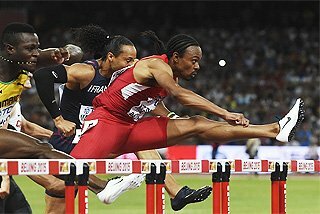 He is also crafting a reputation as one of the most gifted all round athletes anywhere on the planet at the moment having proven himself on the track, road and now, cross country. 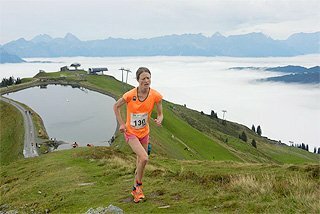 “I have a training programme that is unique and caters for many distances. That is why I prefer to train on my own without any coach since it is easier for me to adjust for the race I’m running next,” he disclosed the reason behind his versatility. From humble beginnings, Mutai, who was forced out of school due to lack of fees after completing his primary education at Tuiyotich Primary, has risen to post 2:04:55 in marathon running. The staggering time he chalked in Rotterdam on 11 April 2010 while finishing second to compatriot Patrick Makau Musyoki (2:04:48/fourth quickest ever) propelled him among the elite of distance running. His effort in Rotterdam matched the mark recorded by his illustrious compatriot, Paul Tergat, when he set the World record at the 2003 Berlin Marathon (a barrier that has since been adjusted downwards to 2:03:59 by Ethiopia’s Haile Gebrsellasie). 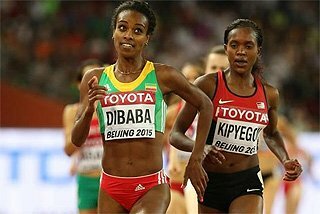 “I can say it came to me naturally since I was in primary school, where I used to compete for them in 10,000m since 1994. I used to train daily and with time, I could not do without running,” he described his first love for the sport that has given him a rewarding career. “When I finished primary school, my father had lost his job at Rivatex (textile company in Eldoret) when it closed down and I had no choice but to discontinue with my learning. I relocated to Timboroa for training where I switched to steeplechase in 2000,” he adds. 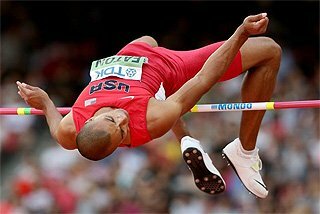 His first attempt to compete for his country came at the Trials for the 2002 World Junior Championships in Jamaica, where he qualified but as fate would have it, he was withdrawn from the team when officials discovered he did not possess a birth certificate. Dashed, Mutai resumed his training but his tribulations mounted a few months later when he injured his leg badly while on a long run exercise. He landed a job as a lumberjack for Kenya Power and Lighting Company where he would fell trees for electricity poles in Eldama Ravine. “In 2005, we were told our employment was over and I travelled to Kapng’etuny to resume training,” he explained. At the beginning of 2007, Mutai made his return to competition, featuring, among others, in Mt Kilimanjaro Half in Tanzania, Koibatek Half and Stanchart Nairobi Marathon’s half marathon race before making his 42km debut at that year’s inaugural Kass FM Marathon. “This is where I met my manager and he got me to compete outside the country. I must say this was where my life turned around,” he disclosed. In 2008, he made a winning international marathon debut in Monaco with 2:12:40 (30 March), then claimed 10,000m silver (28:01.74 on 28 June) at the Kenya National Championships, but his quest to make the Beijing Olympics team was grounded by a ninth place finish (28:38:55 on 4 July) at the Trials. He dusted himself by lifting the Fortis Voorthuizen 10km road race (28:05, 16 July) title in the Netherlands. On October 12, Mutai gave Eindhoven Marathon a memorable present for its 25th edition: a new course record of 2:07:50 that shed seven seconds off the previous mark five days after his 27th birthday. "I did not start fast," Mutai told IAAF at the time. "I started to move to the leaders between halfway and 25 km. The moment I reached the leading group, I knew I was doing well on this fast course. I was feeling fine and could increase my speed in the final phase of the race. I'm very happy with my time and the course record." 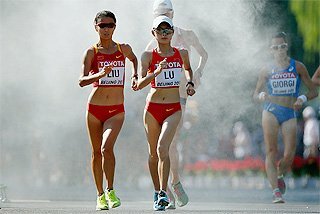 After a DNF in Dong-A-Seoul Marathon (15 March), his 2009 set off with an eighth place finish (2:10:45/12 April) at Daegu before retaining his Voorthuizen crown in 27.39 (15 July). He then turned his sights on the Berlin World Championships, but his hopes were dashed when Athletics Kenya (AK) decided to field him in the B-race, with the A-race reserved as the Trial during the 25 to 27 June National Championships. “When I registered, AK did not give me the chance to compete in the Trials, stating only those who had run under 28:00 on the track would be entered. I felt disappointed since I had run 27:39 over the same distance but at a different surface,” he recounts. Nonetheless, he clocked 28:07.21 to win the B-race. Four days after his 28th birthday he returned to Eindhoven (11 October), and defended his crown in an impressive 2:07:01, bettering the course record he had set the year before (2:07:50) in a race he ran solo at the final stages. 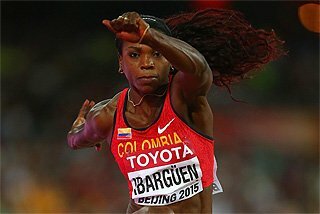 “I hope to run a marathon in the future with stronger opponents. 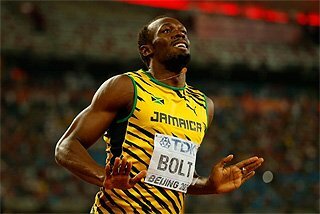 I know I can be faster than this,'' he stated to IAAF after the race. Mutai wrapped up the season with a brisk 59:30 career best victory in the Valencia Half Marathon (22 November). In 2010, after beating a deep field at the Ras-Al-Khaimah Half Marathon (59:43/19 February) and then playing bridesmaid in one of the quickest marathons of all time in Rotterdam (2:04.55), Mutai returned home and just over a month later (24 May), he won Kenya’s most lucrative half marathon, Sotokoto Safari in 1:07:55 where he took home the $15,000 (Ksh1.2m) top prize. He lost the title to compatriot Patrick Makau Musyoki (2:04:54) by a second. 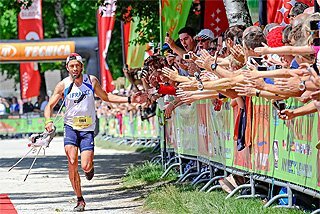 “I believe in participating in local races since they have made me and give me good build-up for international races. 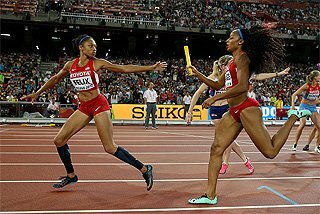 I did not enter the race very much to win but to inspire young athletes to aim higher when they see top runners competing alongside them. I urge my fellow established runners here to do the same,” he noted. Mutai then challenged for a place in Kenya’s line-up for Nairobi’s 17th African Athletics Championships with success, running his 10,000m personal best 27:27:59 (26 June) to seal an automatic berth in the team. The race made local headlines since all top nine finishers, led by Wilson Kiprop (27:26.93), dipped under the old soil record of 27:24.66 run by Sammy Kitwara in 2009. With the home crowd in fine song, the first final of the 17th African Championships saw Kiprop hold off Uganda’s Moses Kipsiro for gold with Mutai (27:33.83) coming in for bronze. Despite bagging a first medal for his nation, Mutai was disappointed with the outcome. Mutai came head-to-head with Makau at the Berlin Marathon on 26 September where an assault on Gebrselassie’s All-time best was on the cards. However, heavy rain and thick fog put paid to the record chase, with Makau (2:05:08) once again leading Mutai (2:05:10) to the altar in another intense finish. “In both races, he was better prepared for the finish and credit to him. I enjoyed running in both but the weather in Berlin took a lot away from us. I still believe the World record could have fallen that day since both of us were in great shape. There’s always a next time,” Mutai observed. On 21 November, Mutai checked in for the IAAF Gold Label Airtel New Delhi Half Marathon where he ran a briskly season’s best of 59:38 for victory, to close another rewarding season with the $100,000 (Ksh8m) top prize. He resurfaced at the seventh KCB/Athletics Kenya National Cross Country meet in Iten on 8 January to competitively usher in his 2011, where he bulldozed past the 12km course in 37:05.3, a massive 47 seconds ahead of runner-up, Philemon Rono. Rono was again the closest challenger to Mutai when he added the Kenya Police Cross title on 15 January where the margin of victory reduced to 25 seconds (37:26.0 against 37:51.6). 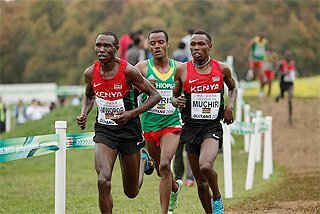 Facing an intimidating field during the IAAF Permit/KCB National Cross Country Championships, an event hailed as the toughest in cross country running, Mutai played his favourite role to perfection by taking the men’s long race in 34:35.0. After the race, he again requested AK for dispensation to train individually, a plea that fell flat on the federation’s ears. "It’s impossible, that can never happen. Cross country is a team sport and he must report to camp like all others. 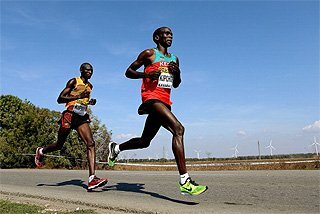 We have trained great cross country runners like (Paul) Tergat and (John) Ngugi in Kigari and we do not want to set precedent with Mutai as other athletes will want the same and that will not foster team work," AK General Secretary, David Okeyo, said. Both parties came to an understanding at a meeting held at the federation headquarters a week later. With proceeds from his athletics career, Mutai has transformed the lives of his parents and siblings as well as establishing his own family that welcomed daughter Ivy at the beginning of 2009. 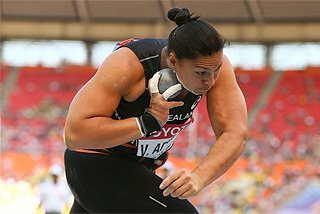 “My younger brothers and sisters are not keen on following my footsteps as an athlete at the moment. I have stressed to them that education is the most important thing to have since running is not easy. The sky is the limit for the ambitious Mutai who is blossoming to be quite a fearsome distance runner.